(MoneyWatch) Home prices are increasing nationally, but there are still plenty of markets where buyers can find deals through foreclosures and short sales, frequently reducing the cost of the home by about 50 percent. RealtyTrac found 15 cities where short sales and foreclosures are really taking off, meaning the market of these homes is big and growing -- the complete opposite of overall real estate trends that show inventory is slight and shrinking. "Short sales are on the rise as a better alternative to foreclosure in many areas -- good news for buyers and investors in markets where short sales are closing more quickly at solid discounts," said Daren Blomquist, vice president at RealtyTrac, in a press release. "But buying from the bank may still be a better option in other markets because of increasing REO inventory, deeper discounts and shorter times to close." Short sales surged in the last quarter of the year, particularly in the top 15 markets, ranging from a 107 percent annual increase in the top city, Santa Barbara, Calif., to 37 percent in Detroit, the last of the 15 markets. Nine of the towns in the top 15 are located in California, which was ravaged by foreclosures in the early parts of the recession but has recently seen a turnaround, thanks in part to the Homeowners Bill of Rights, which was designed to reduce foreclosures and encourage loan modifications and short sales. In most markets in the top 15, buyers were able to purchase the home for about half or more what it was worth to the banks. 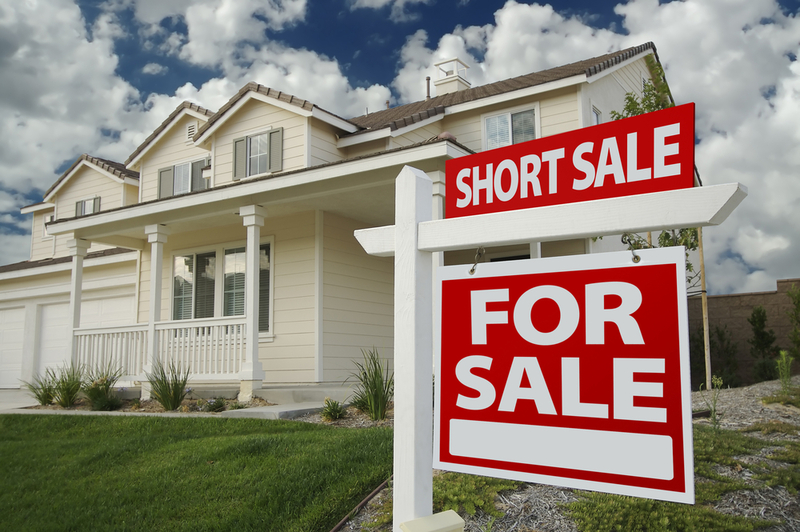 The only drawback to the short sale: They are still a slow process. Some of these sales took almost a year to complete. The shortest average number of days for a short sale to go through is in Phoenix at 188 days. While this number is shrinking, you will still need a lot of patience. The top 15 best places to buy a bank-owned home was more spread out than the best places for a short sale, but only five states comprise the entire list. Four cities make appearances from Florida, three from Ohio, three from North Carolina and two from Illinois and Tennessee. In all 15 places, foreclosure sales still account for more than 10 percent of all home sales. Prices are still depressed in these markets, considering that in all of them you can get a foreclosed home for at least 30 percent below the average sales price of a non-foreclosure home. In Cleveland, you can get a foreclosure home for 56 percent less than what you'd pay to buy a home on the market. The average price for a bank-owned home in Cleveland is just $57,782. Even in popular vacation destinations like Daytona Beach, Fla. see deep discounts where the average bank-owned home goes for just $88,012. None of the towns in the top 15 markets for short sales and the top 15 markets for foreclosure sales overlapped, which may be indicative of how banks operating in those areas are treating their inventory.